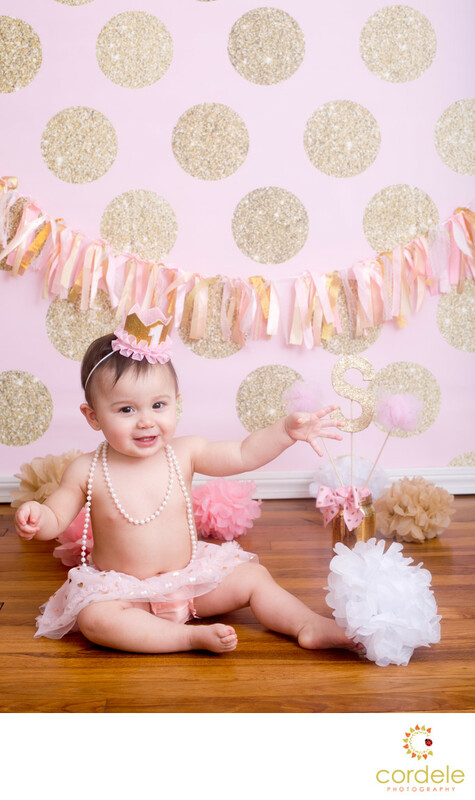 This little lady loved pink and we found the perfect background for her. We traveled to her home and set up a studio right in her spare bedroom. The wood floors were perfect and I had just enough space to set up a light, Although she wasn't loving the flash, we were able to get a few photos of her smiling.